Product #20777 | SKU 4071-B10 | 0.0 (no ratings yet) Thanks for your rating! 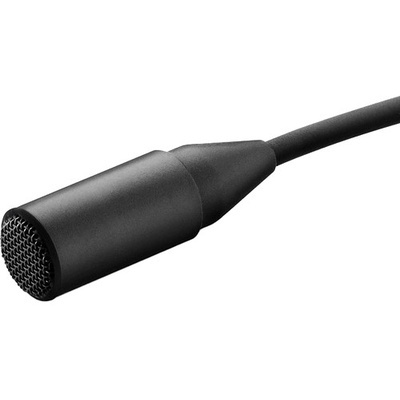 The black d:screet mini 4071 Omnidirectional Miniature Microphone with a Hardwired TA4F Connector for Shure Wireless Systems from DPA Microphones is designed for ENG and EFP applications, as well as any scenario that requires small, moisture-resistant microphones. It has a built-in low cut at 100Hz for reduced low-frequency resonances and rumbling. Its high-frequency boost is tailored for speech intelligibility.